My aunt and uncle had us over for Thanksgiving this year and I wanted to send a thank you for the lovely dinner and conversation we had. My mom's sister and two brothers were all there and that was so nice to see all of them together, which doesn't happen very often because my one uncle lives in Pennsylvania. I purchased this stamp from my LSS, Buffalo Stamps and Stuff. 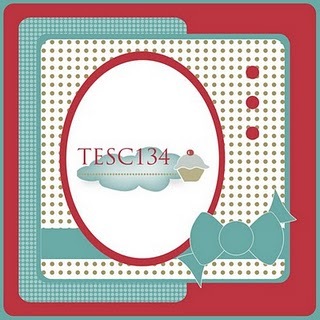 It's from Serendipity Stamps and I love their images. They are always so fun to color. 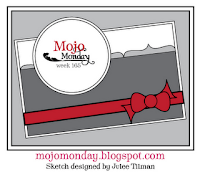 I followed the Mojo Monday sketch from last week. The dp is SU's retired Autumn Vine and the ribbon is something I picked up at Target last year. The sentiment is from Papertrey Ink. Thanks for stopping in today! Have a great week! Hi everyone! Did you see my new blog header? I asked Heather Rolin (who owns Individual Blog Banners) to update my blog header and signature for the holidays, and she did a fab job! It looks so festive! Thanks Heather! Today is Saturday (woohoo!!) and it's time for another Just Us Girls challenge. 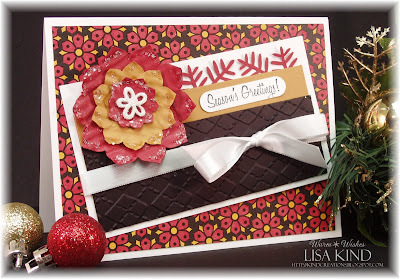 Kristin has challenged us to add a 3D holiday embellishment to our projects! I had the perfect embellishment for my card. I bought this set from Taylored Expressions last month called Merry Little Cocktail and found Christmas wine charms I had never used. So I created my card around it! The sketch is from Taylored Expressions from last week, too. 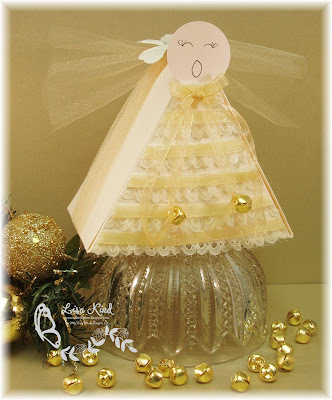 I used SU's Jolly Holiday dp and paired it with Old Olive and Vintage Cream cardstock. The ribbon is old olive taffeta. I added red and star dust stickles to the image, green glitter dots, and the tree charm with some baker's twine. 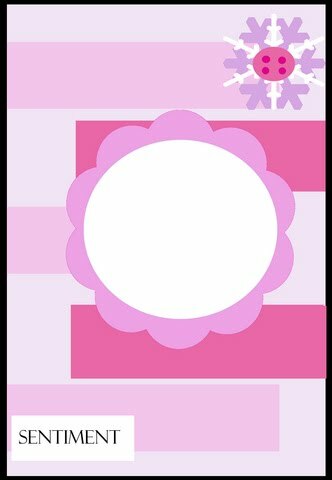 Very simple card to do...not much coloring! Love it! Want more inspiration? Head on over to the JUGs blog and see the amazing projects the DT and our featured designer, Cheryl Rowley, did this week! This is Cheryl's last with us already...where has the time gone? Stop by their blogs to leave some much deserved love! On a personal note, I'm picking my new Dodge Journey up this morning! I was ready for something different after having 5 minivans! I'm really excited because I've never had power locks and windows on any of my cars! My hubby never wanted them because he was afraid they'd break and be a pain to fix. (And his best friend is a mechanic...go figure!!) It's black, which I know will be a challenge to keep clean, especially in our weather up north. But, I've always wanted a black card! So I'll be tooling around town today having fun! Thanks for stopping by and listening to my rambling! Have a great weekend! M4TW - Black Friday Challenge! Happy Black Friday everyone! Are you stuffed like your turkey today? Well, get out and shop! But before you go, you should play along with our Paper Makeup Stamps Makeup for the Weekend challenge! I'm the hostess and the challenge I chose is to make something shopping related with an option to use black on your creation. Here's what I did. I used the Retail Therapy set from PMS. PERFECT for this challenge! I just love the sentiment! I don't pay cash for anything anymore! It's always on my debit card and sometimes on my credit card! Who carries cash anymore? LOL!!! Back to the card...I've colored the packages with various copics. 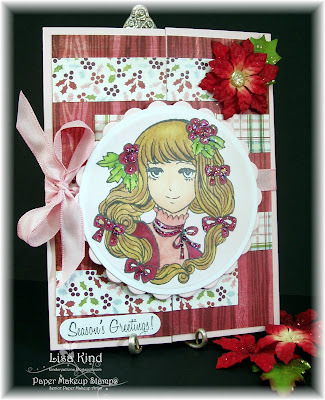 The dp is All Dressed Up from DCWV and I paired it with Pink Pirouette cardstock. The sentiment is cut from a Spellbinder tag and I strung it with two different types of ribbon. The black glitter dots finished it off. I used the current SCS sketch for my layout, but flipped it. 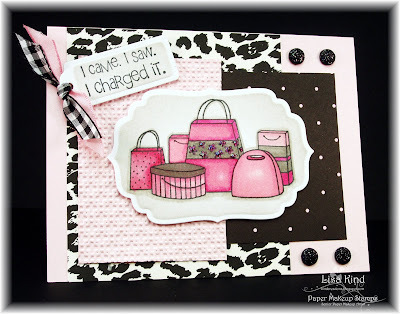 Stop by the PMS blog to see what the other girls on the PMS DT have done. And then, let's see what you come up with! You don't have to use PMS stamps, but why not use them if you have them? This Retail Therapy set also comes in digi format, so you can have this set today to play with! Happy Thanksgiving and Some Design Team News! Hi everyone! Happy Thanksgiving! 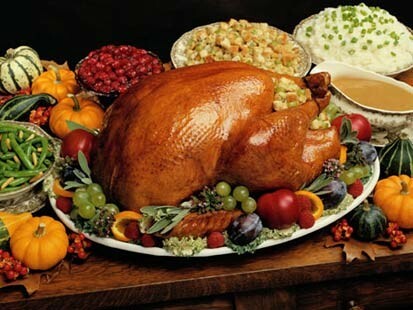 I was supposed to have Thanksgiving at my house this year, but my aunt and uncle invited us over, so how could I say no? I'm missing the smells of the holiday in my house, though! I wanted to relay some information about some upcoming sales and events for the design teams on currently on. My Time Made Easy is having a Black Friday sale! All stamp sets and paper are 20% off (this does not include templates or packages)! Now is the time to stock up on what you've been drooling over! Paper Makeup Stamps is not doing a release this month. We are going to an every other month release instead. This will give us time to use the new (and old) stamps we have and time to show them off! What we are having in place of a release is a customer blog hop on December 7th. 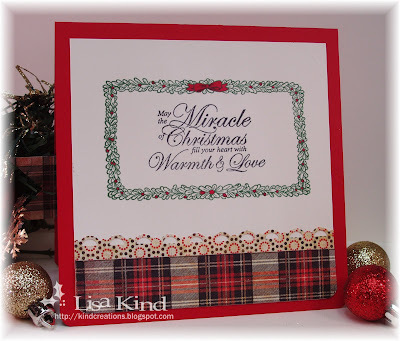 All you have to do is commit to creating a card using a Paper Makeup Stamp that is a winter or Christmas image. If can be released this year or a previous year. Please send an email to katie@papermakeup.com with the subject of December Fan Blog Hop to join in the fun. You MUST register for the hop no later than December 3rd. On December 4th we will send out final details to everyone in the hop along with a list of blog hop participants. But you dont have to wait until the 3rd... you can register now just by sending Katie the email! We hope you play along with us! 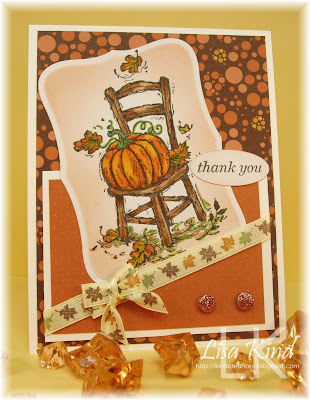 So, have a great Thanksgiving and we'll see you tomorrow with a Makeup 4 the Weekend challenge from Paper Makeup stamps! Hi everyone! Sorry my JUGs post is going up so late! I'm the hostess this week for the Just Us Girls challenge, and I was so concerned with getting the JUGs post up (because I was at a conference in Saratoga Springs, NY on Friday and Saturday), that I forgot to do my own personal post! So here it is! I've chosen these colors from my Vera Bradley laptop bag in the Pirouette pattern. I thought they would be good for holiday cards or any occasion cards. Here's mine. I thought I had flower dies from Papertrey Ink to match the flowers on the Vera Bradley bag, but alas I did not! So I found this patterened paper from PTI called Black & White Basics. I just colored the flowers in with copic markers to match the challenge colors. I ran the black piece through a Cuttlebug folder that reminded me of the quilted bag. The flower is a Spellbinder die and I just ran the pieces through a paper crimper a few times, then layered it with glue dots and put the glittered flower in the center. Then I put chunky glitter on the flower with some glue. 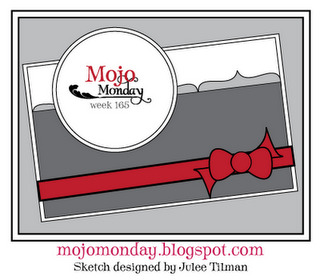 The sketch is from this week's Mojo Monday. The sentiment is a free one from Paper Makeup Stamps that you receive with every order this month. Stop by the JUGs blog to see the fabulous creations the girls made. You can visit their personal blogs through links on the blog post. Also, please visit our featured designer, Cheryl Rowley, and say hello! Happy Sunday everyone! 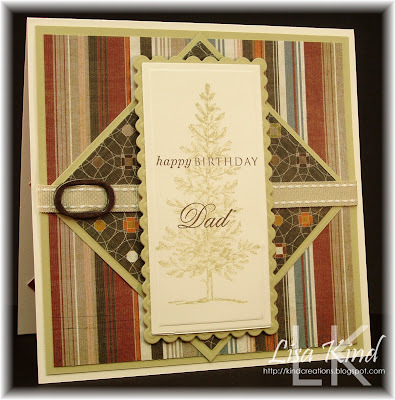 I didn't intend to participate in the Featured Stamper challenge over on SCS today, but I took a peek at Jellybean74's gallery and came across a card I wanted to CASE for my FIL's birthday. I hate making masculine cards, because I'm just not good at it. I NEED inspiration. I did, however, intend to use SU's Lovely as a Tree set. My girlfriend gave hers to me (she doesn't stamp anymore) and it wasn't even mounted! 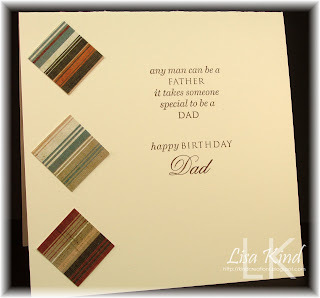 When I was peeking at the FS gallery, I came across this card and it is where my inspiration took me. I hate CASEing almost exactly, but I just had to! I used the same tree (it was perfect, so why bother changing it? ), but stamped it in River Rock. The dp is similar, but mine is Pyrus from Basic Grey. I matted it with River Rock cardstock. The sentiment is from two Papertrey Ink sets: Men of Life and Father Knows Best. The ribbon is River Rock and I added a piece of Hodgepodge Hardware in aged copper. The inside was kept simple. I used 1" squares and mounted them like diamonds, similar to the front. The sentiments again are from the same two Papertrey sets. My FIL is a great guy and a great father. He's almost blind from glaucoma and I have never once heard him complain. He has been in pain quite a few times from the pressure building up behind his cornea. I worry about him when he's walking up and down steps, but he just yells at me and says, "What? I'm fine!" Men! LOL!! Thanks for stopping by today. Enjoy your day! Happy Saturday! Boy was it hard to go to work yesterday after having Thursday off for Veteran's Day! We should have had a loooong weekend! I'm spoiled, I know! Today I'm here with a new challenge from Just Us Girls! 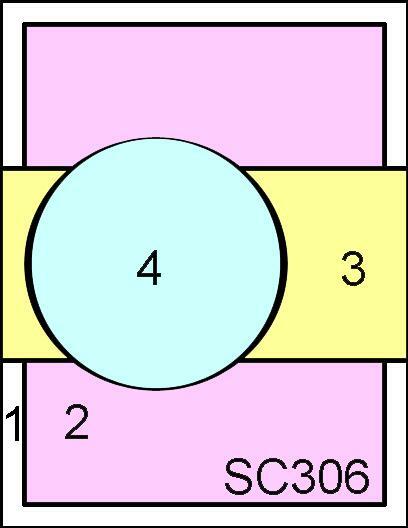 Kathryn has challenged us to make a gate fold card. I haven't made one of these in a really long time. Last time I made them was for invitations for my MIL's 70th surprise birthday party. I remember making them by candlelight because our power went out! Anyway, I digress! Here's my card. 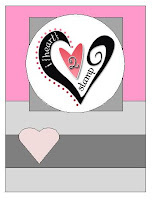 This image is a new one from Paper Makeup Stamps. It's from the Moody Girls line and this one is called Moody for Holly. The sketch is also from the PMS Makeup 4 the Weekend challenge. Stephanie came up with a fab sketch, and it was perfect for a gate fold card. I got my colors for the Moody girl from this Basic Grey dp from last year called Eskimo Kisses. I loved the rich burgundy colors! The sentiment is a free one that you get with every Paper Makeup Stamps order this month. 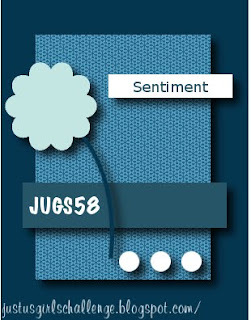 Stop by the JUGs blog to see the inspiration from the girls. 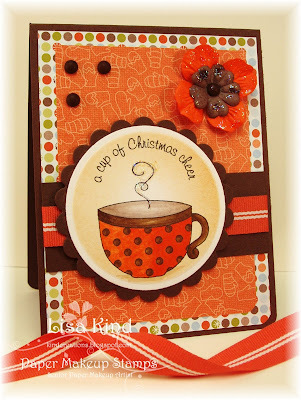 Also, my good stamping friend Cheryl is our Guest Designer for November, so stop by her blog along with the JUGs DT. And also stop by the PMS blog and try out their sketch. We'd love to see you playing along with both challenges this week! Hi everyone! If you've come from Michelle's blog, you know that we are baby hopping for our sweet Paper Makeup Stamps member Ginger Schwerin. She is having a baby soon and the PMS DT is celebrating! If you've just stopped in, you can start at the PMS blog and get all the info and hop along with us. There's some fantastic eye candy for you to see! I decided to use this beautiful wordart. I think it's perfect for Ginger...she's been waiting for this baby for a long time! So I think you've guessed that it's a boy with all the blue! I found a great sketch on the CPS blog and used it with some creative license. The wordart, of course, is a PMS one that you can find here. (I see that it's out of stock in rubber, but available in digi format for only $1.50.) The dp is from Making Memories called Animal Crackers. I stamped the wordart in Memento tuxedo black on vintage cream, then sponged some bashful blue ink around the perimeter. 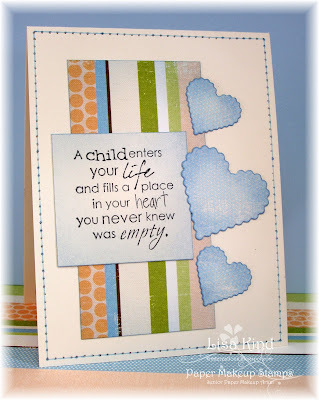 The hearts were cut from the same dp using Spellbinder heart dies. Love how it pairs nicely with the wordart. The last thing I did was some faux stitching by piercing around the perimeter of the card front and connecting the dots with a bashful blue pen. Congratulations Ginger! I'm so happy for you! 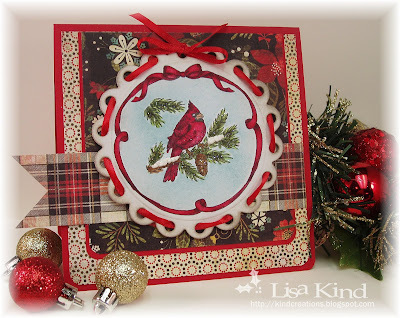 Now, to continue you need to hop on over to Maria's blog to see her fab creation! Thanks for stopping in today! Hi everyone! I totally forgot to do a post for my Paper Makeup Stamps review card! I had it done Tuesday night and posted it on SCS for their sketch challenge, but forgot to post it here! So sorry! On Sunday, PMS released a wonderful group of Christmas stamps. 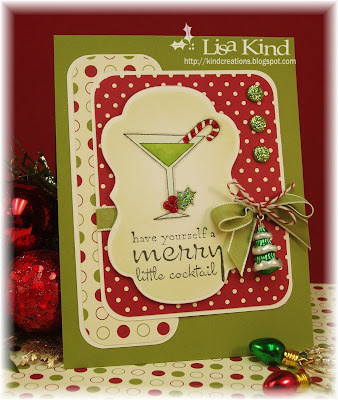 I'm sharing one of the images today from a set called Christmas Cheer. The senitment on this is part of the stamp, but you could easily cut it off or just mask it and use the cup any time of the year! Pretty versatile! I used a retired dp from SU called Frosty Day. I love the orange (and the brown) colors in it. The image is colored with copics and I added some star dust stickles to the steam and the Prima flowers. I placed a brown candy dot in the middle of the flower and in the opposite corner. The ribbon is SU also. I used this week's SCS sketch for the layout. The PMS blog has more reviews of this great release. Head on over there to check them out and visit the blogs of the PMS DT and leave them some love! Thanks for stopping in today! 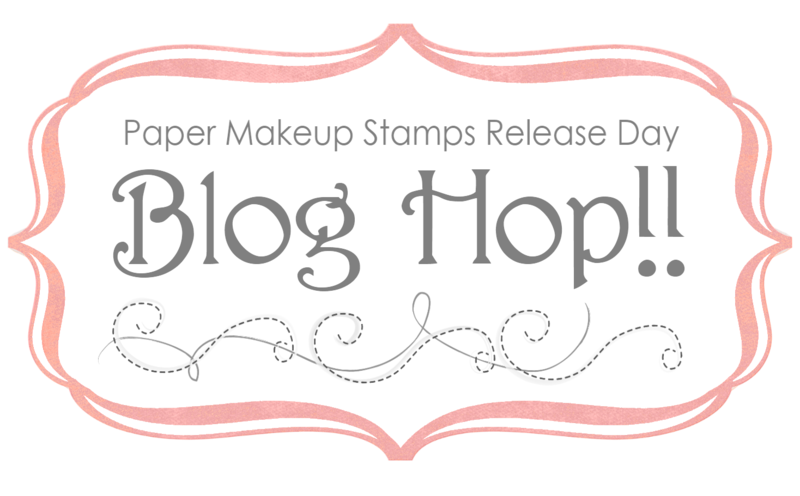 Paper Makeup Stamps Release Day and Blog Hop! Hi everyone! 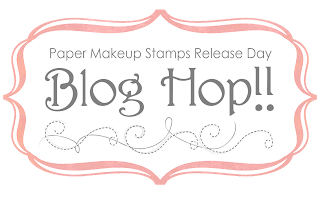 It's time for our monthly release day blog hop from Paper Makeup Stamps. You should have come here from the PMS blog....I'm the first stop on the hop. So if you haven't stopped at the PMS blog first, go there first to get all the details. This is one of the new fairies this month called the Sugar Plum fairy. She can be used all year 'round, too! I colored here with copics and then cut her out. She's quite a large stamp because of the way she is dancing. The chocolate panel was run throught a snowflake cuttlebug folder. The dp is from a retired SU pack (maybe Holiday Treasures?). I paired it with pink pirouette paper and added the pink taffeta ribbon and pink glitter dots. I punced the side of the pink panel with a Martha Stewart snowflake punch. The sketch sort of follows the current Taylored Expressions sketch. I'm going to send you off to Anita's blog for some more fab inspiration. Before you go, I'm going to give you your first letter. Thanks for hopping with us! Don't forget about our release party tonight in the PMS forum at 8:00 pm CST. Hope to see you there! Happy Saturday! Today is a two-for-one post! Paper Makeup Stamps is nearing its release tomorrow, and today we have one last sneak peek before the release. Today is also the Just Us Girls sketch challenge, so I've decided to combine the two! 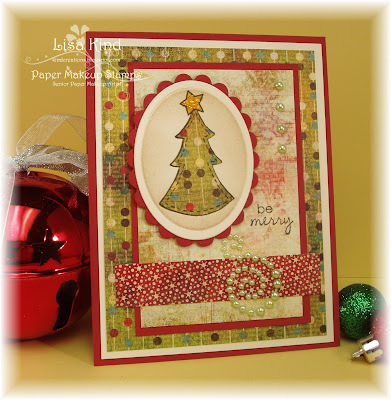 Paper Makeup Stamps is sneaking the new set called Christmas Cheer. It's a really cute set illustrated by our own Shaela Odd. There are a variety of winter/Christmas images included in the set. I'm using the Christmas tree on my card. I had to get creative with that flower image because I was using this tree! The image actually has a tree trunk, but I didn't ink up that part of the image. I paper pieced it with a piece of Jovial dp from Basic Grey. I used some pearls to mimic the stem in the sketch. I didn't have room on the bottom of the card for the three pearls, so I added them (plus one!) 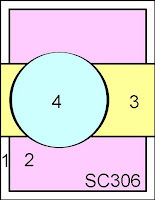 on the upper corner. The sentiment is from Little Moments sentiment set. 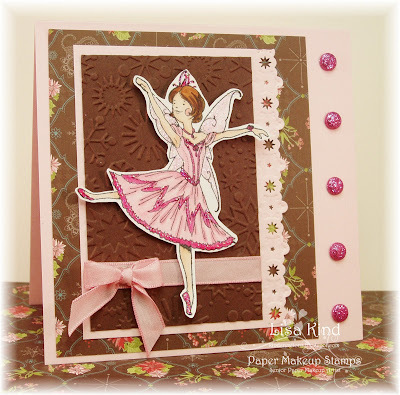 If you want to see more sneaks from the Paper Makeup Stamps DT, stop by the PMS blog. Also tomorrow is our blog hop, release day, and release party. The information is on my sidebar for times and places. The JUGs girls also have some inspiration for you. And my good friend Cheryl Rowley is our Guest Designer for November! I'm so excited about this! 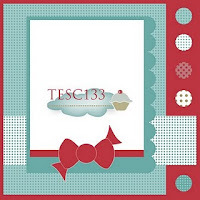 She is an excellent crafter and has some fabulous creations on her blog, Cottage Creations. 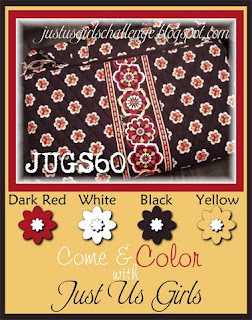 So stop by the JUGs blog to what the girls have for you! Thanks for stopping by today. I'll see you tomorrow for the PMS blog hop! Today is the last day of postings for the My Time Made Easy November release. All the girls are posting some fabulous inspiration for you today. I have the template called Anyway You Slice It. Have you seen some of the amazing things the girls have done with this simple little template? I've been blown away! I was going to make this template into a piece of pumpkin pie, but yesterday, our girl Katie did a wonderful job making this into a piece of pumpkin pie (we both love all things pumpkin)! So I had to switch gears. 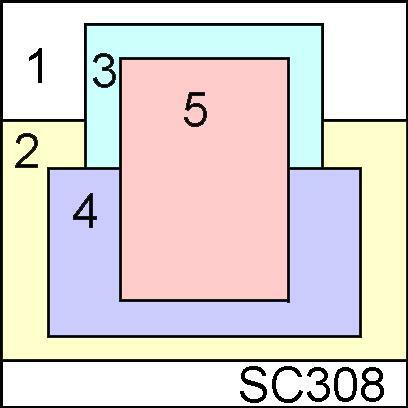 I started to think of what I could make in a triangular shape. I thought of a teepee. While googling teepees, I came across another website for Christmas crafts. Then I found an angel made from paper! Voila! That's what I was going to make! I cut the template out on Poison Ivory paper using the Cricut and SCAL. I added some ivory lace on the box, then added some gold ribbon on top. The "angel's wings" are just the tails from some gold tulle I tied around the box. I added an ivory flower with a gold glitter dot in the middle to cover up the knot. I am no artist, so the head is very simple. It was punched from Blush Blossom cardstock and I drew in the eyes and mouth with a fine point marker. 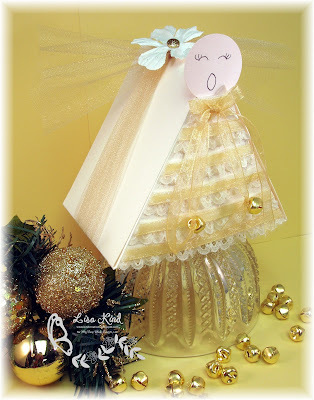 The same gold ribbon was used for a bow at the neck and I added some gold bells to the tails. I can see these reduced in size and made to hang on a tree with little gifts of candy or money inside. There are so many possibilites for this cute little template! And at the very reasonable one time price of only $5, it's a must have! Here are links to all the MTME girls' blogs. Stop by and see the November release once again all at once, then hop over to the MTME store and pick up your must haves! Thanks for stopping in today! See you tomorrow with another Paper Makeup Stamps sneak and a JUGs post! I have a Paper Makeup Stamps Sneak Peek here, so please go there after you read this post!! For the month of November, we thought we would switch gears a little and throw in some holiday gift ideas using your JustRite stamps, so be watching for those, too, on November’s hops! And in celebration of JustRite’s 9th and 10th weeks of Christmas Blog Hops, they have a huge surprise for you -- take 25% off All JustRite Original Christmas Stamps now through November 15, with free shipping within the U.S. -- Don't forget to tell Santa!! We were thrilled when Pam Imholz broke the news that the JUGs DT was going to participate in this hop! I love JustRite stamps...they are so many pretty designs, I had a difficult time choosing one. But in the end, I settled on this Backyard Birds set. It's not part of the Christmas Collection, but it did have a pretty cardinal in a winter setting. I just love this card! I didn't intend for the main image to take on the look of an ornament. It just evolved into it as I was finishing it, and I'm so glad it did! The image is colored with copic markers and when I was finished, the background was begging to be shaded in. I had to cut a mask for the bird and the ribbon around the image, then it was shaded in with Baja Breeze ink. I cut and embossed it with a nestie and that's when it took on the look of an ornament. So I ran some ribbon through the holes and tied a bow on top. The paper is from Basic Grey's new Jovial paper pad. I LOVE red, black and cream! So classic! I added Liquid Applique to the snow on the branch and Star Dust stickles to everything else (I love sparkle too!). 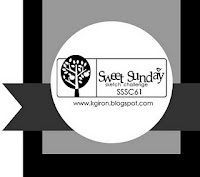 The sketch is an old one from Sweet Sunday Sketches. I decided that I'm giving this to my mom for Christmas, so I did some extra special decorating on the inside as well. 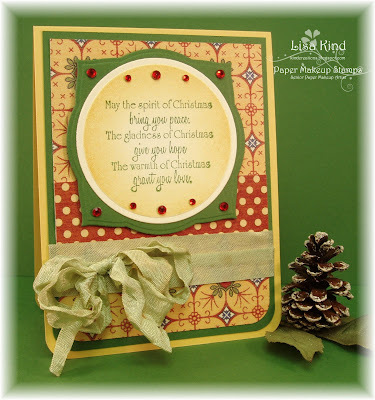 The border is from the Christmas Nested Frames & Occasions set and the sentiment is from the Christmas Nested Sentiments set. Paper Makeup Stamps - Sneak Peeks Begin! Today begins the first day of sneak peeks for Paper Makeup Stamps! We are sneaking some fabulous new holiday wordart today. Some great stuff! Isn't this a beautiful sentiment? I wanted to go traditional with the colors...I think these are traditional! My starting point was this great paper from the Domestic Goddess Collection from Graphic 45 and the Sketch for You to Try from last week. I also used this beautiful seam binding I purchased from my friend Debbie Marcinkiewicz's Etsy store. I've never worked with it before, but it's so fun! Stop by the PMS blog to see sneaks of what the other PMS girls have done! We're having sneaks for the next few days, then on Thursday, November 7, (release day) we have our blog hop all day and release party in the PMS forum. You are all invited to come and have some fun! Hope to see you then! Oh boy, do I have something special to show you today! I just love this project, if I do say so myself! I have the new Star of the Show template from My Time Made Easy to show off today. When Lauren shared this with us, I immediately had this idea in mind. It went through a lot of different phases in my mind before it came to fruition, however! I have always loved stacked boxes! I have purchased several of them, and now I don't have to buy them anymore! I have them right at my fingertips! This project was first going to be done in light blue. I had some pretty ribbon to use on it. But two things changed my mind. 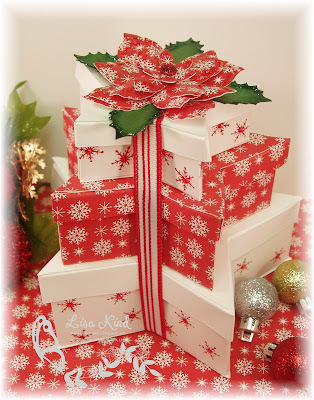 Today I saw Kristin did a fabulous job making this box into a star and she used the light blue snowflake paper. Then yesterday, I made a red and white card and loved it, so I decided to continue with that color palette. 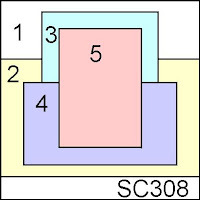 The bottom box was cut (in SCAL) at the original size, then the middle box was reduced to 80%, and the smallest at 60%. I printed three full sheets of this FREE digital paper from MTME called The 12 Days of Snowflakes. The middle box only used two sheets, so I have paper for another project! 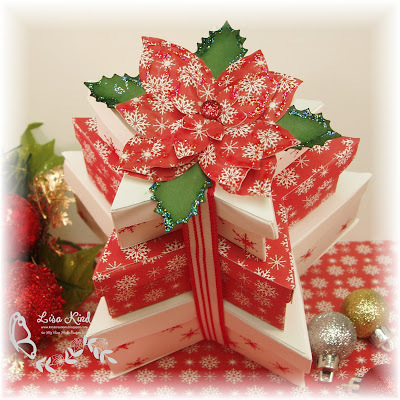 I stamped the smaller snowflake from the Secret Santa stamp set in real red ink around the sides of the white boxes. 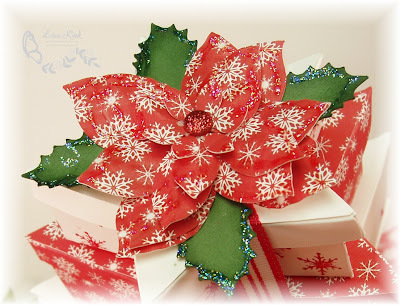 The Perfect Poinsettia cut file (new this month) was reduced to 60% before cutting it out in SCAL. I used scrap pieces from the star box template. The leaves were cut using the new Holly-Day Accents cut file. I added a red glitter dot to the center of the flower and star dust stickles to the edges of all the petals and the leaves. 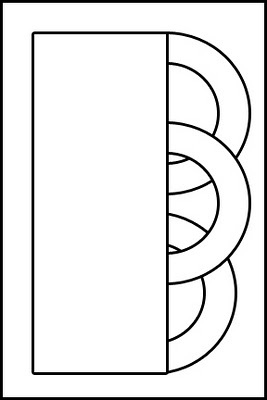 The boxes are held together with some SU ribbon. Here is a closer view of the poinsettia. There are more samples of this box being posted today by some of the MTME DT. Stop by their blogs to see their fabulous creations! Thanks so much for stopping in today! I'll be back tomorrow with the first day of sneak peeks for the Paper Makeup Stamps November release, so please stop by! My Time Made Easy - Release Day!